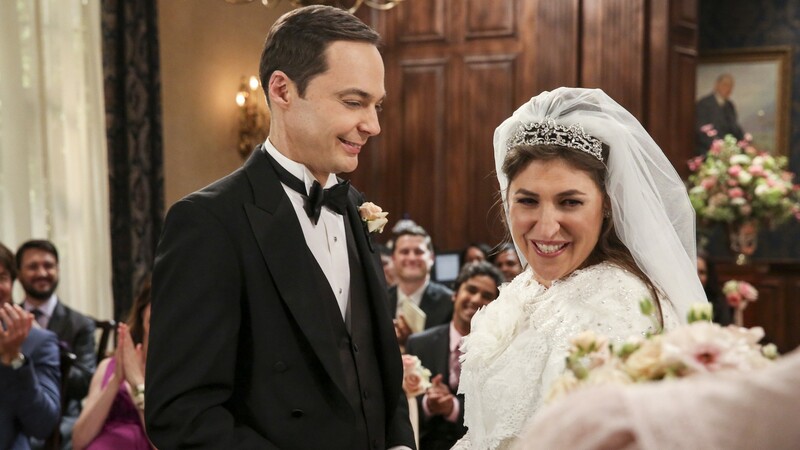 Recently, we received word of special casting for the big season finale of The Big Bang Theory, which will be focused on Amy and Sheldon’s wedding day. 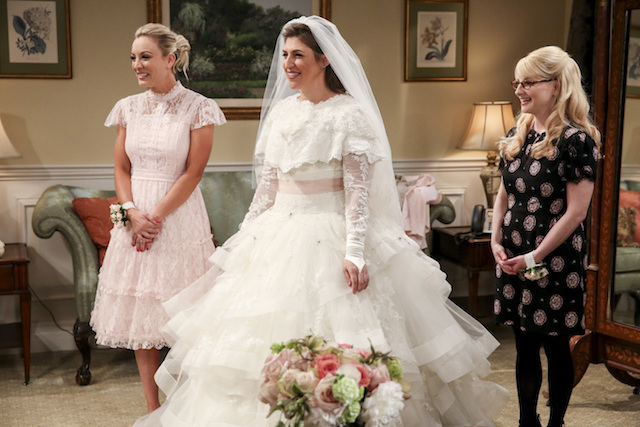 Now, the show’s producer is teasing us with sweet photos from the actual wedding, and you guys, we’re already so emotional! Steve Holland, who runs the show, revealed a series of photos to Glamour magazine earlier this week that shows a lot of joy on the big day. Holland spoke with Glamour and was firm that this beloved wedding does in fact happen. 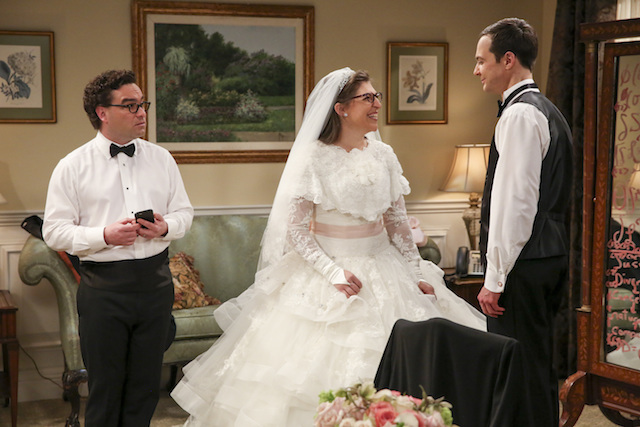 Nobody runs from the altar and the laws of physics can’t conspire to keep this meant-to-be couple apart. 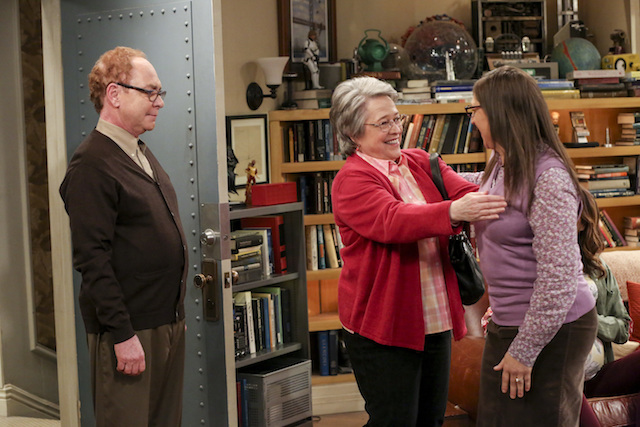 The special episode, called “The Bow Tie Asymmetry,” features a slew of special guest stars, including Kathy Bates and Teller the magician as Amy’s parents. 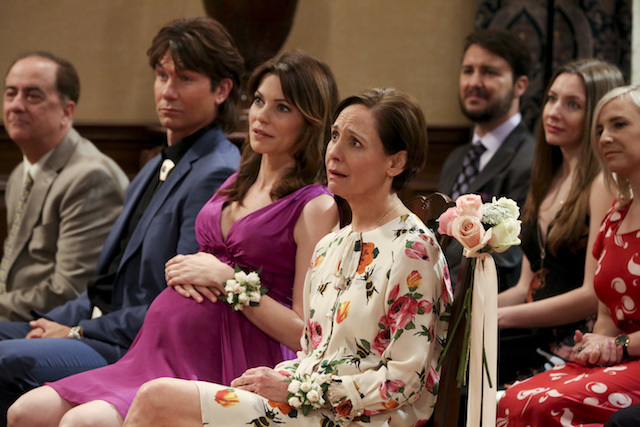 Laurie Metcalf and Jerry O’Connell return as Sheldon’s mother and brother, and Courtney Henggeler, who had a brief appearance in Season 1, is back as his sister, Missy. The casting coup seemed to be the inclusion of Mark Hamill, who Holland confirmed will not be in character. 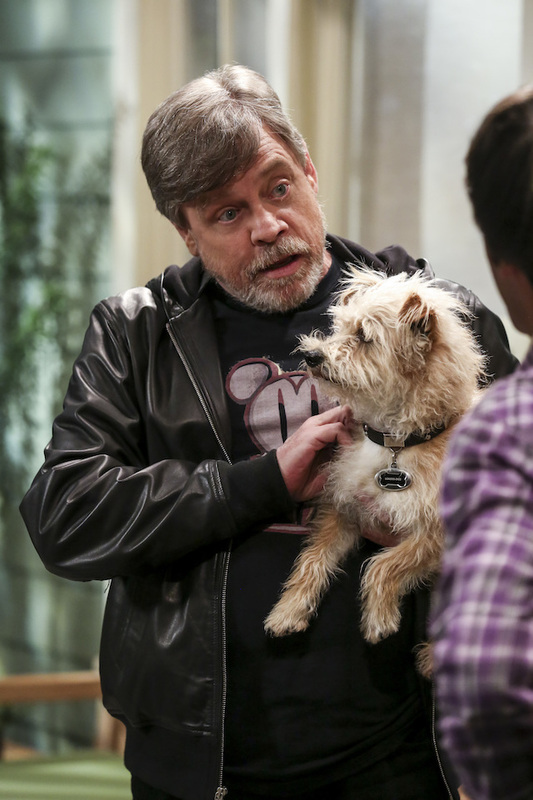 “He’s playing himself, but his role in the episode is a surprise.” Since he’s there on Wolowitz’s porch with a dog, could he be a neighbor perhaps? How fun would that be? One of the best parts of the episode is still bound to be the regular cast, though, as we watch them walk through this very big thing with their lovable friends. 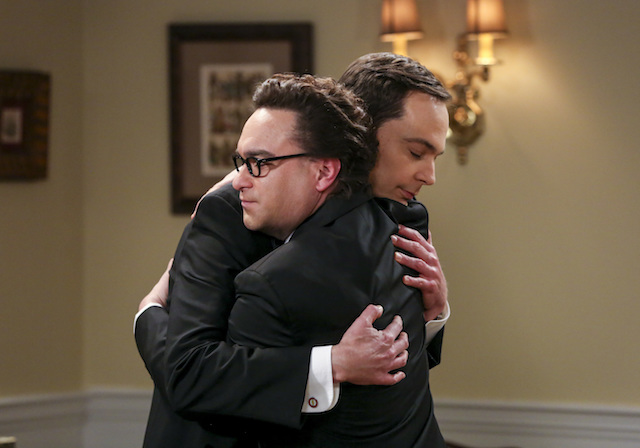 This photo of Sheldon and Leonard is enough to give us all the feels. And as they say, no matter what happens at the end of the day, you end up married. But it’s still kind of nice to know in advance that nothing will hold back the true love of this match made in heaven. We’ve waited eight long seasons to see this circle of love made complete, but we don’t have to wait much longer. 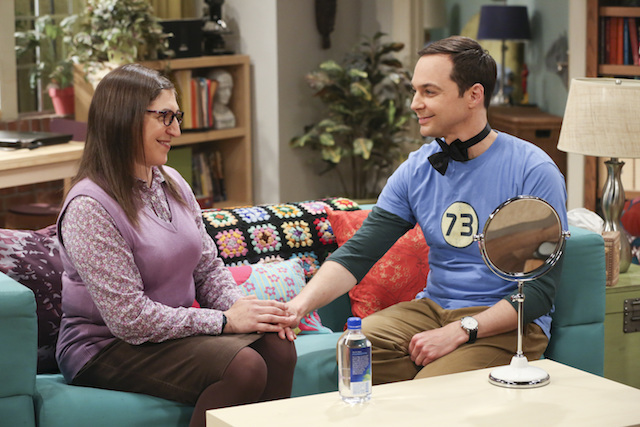 The episode airs Thursday. Holland even told Glamour that there was so much special content they wanted to add to this event that they couldn’t fit them all in the episodes. 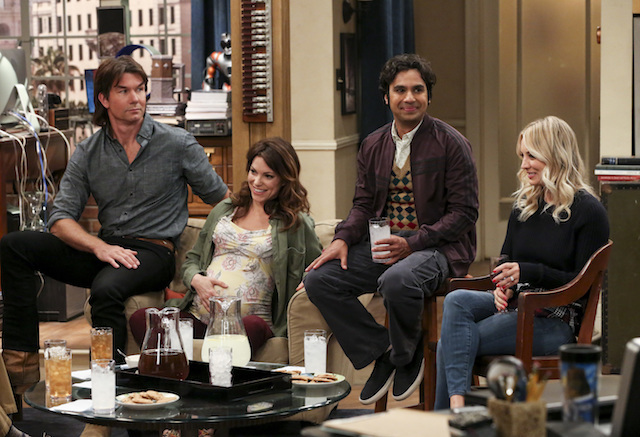 Special bonus scenes will be released on the CBS website just after the show airs on May 10.